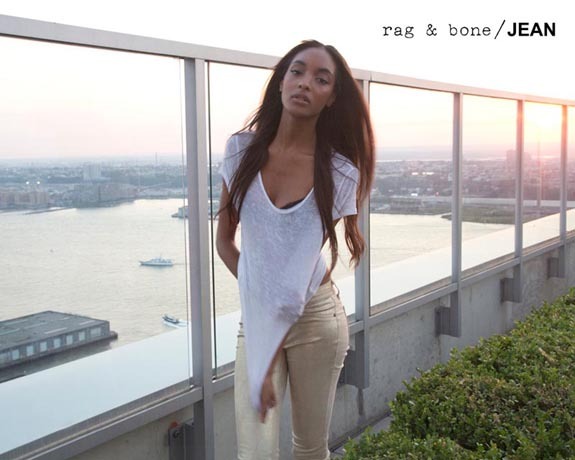 Miss Jourdan Dunn is the latest model to front Rag & Bone’s campaign-with-a-difference, the DIY Project. This is one of my favourite campaigns ever; the guys at Rag & Bone essentially just give a model a camera and get her to take a bunch of natural non-styled, non-made up pictures for their campaign. Miss Dunn joins the likes of Miranda Kerr and Karolina Kurkova with her set of natural and pretty personal shots. I don’t think Jourdan has looked better than she does in these shots, they are so down-to-earth and really show off her natural beauty. The images were taken in New York and London, as Jourdan has just bought a new home on this side of the pond. What do you think of the DIY project and Jourdan’s snaps?